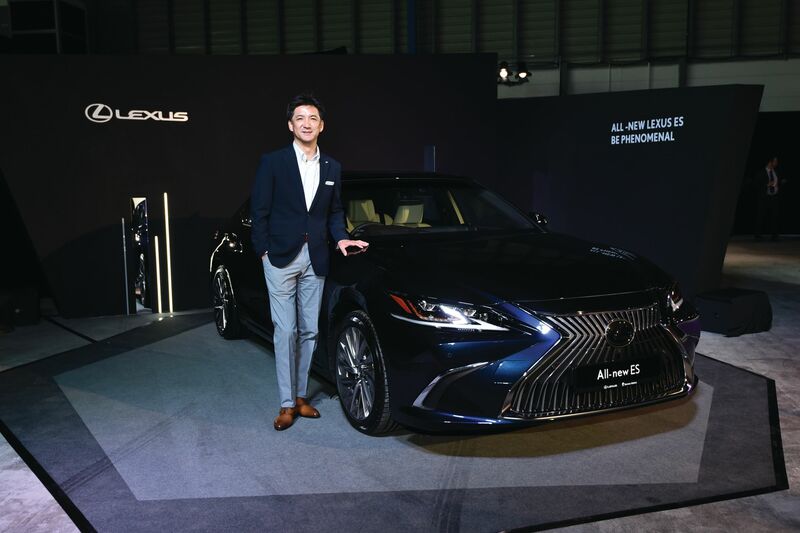 Portfolio recently had the privilege to sit down with the renowned chief engineer of Lexus International, Mr. Yasuhiro Sakakibara, at the recent launch of the new Lexus ES in Singapore. Speaking through an interpreter, the fit and unassuming 53-year-old Japanese engineer was eager and to answer our questions about the design and engineering of the new ES model. While other luxury carmakers are producing cars with rear or even four-wheel drive, Lexus chose to make its new ES (ES stands for Executive Sedan) with front wheel drive. Why did they go that way? That’s a very simple and yet very difficult question. In the older generations, the ES was popular because of its cabin space, quietness and comfort. For the new generation, we wanted to enhance the space, quietness and riding comfort even further, and also improve the driving dynamics. That’s why we chose front wheel drive. During our test drive of the new Lexus we did discover that the ES hugs to the road like a magnet against a boilerplate. How did Lexus achieve the amazing handling characteristics and grip of the new ES without a rear differential and with just front wheel drive? Well ultimately, it’s the new platform that gives us the great control. We’ve optimized the geometry of the car and have changed to a wishbone and trailing arm suspension. Both multi-link and wishbone setups offer true independence and an unparalleled amount of control. However, there are some drawbacks to this arrangement. These builds are the most expensive and complex than the simpler and lighter torsion beam suspensions. The agile movement and steerablity of the car are also made possible by the ACA or Active Control Assist, which detects G-forces and applies either the brakes or acceleration depending on where it’s needed. We can slow down or speed up the inside or outside wheels to counteract the G-force. 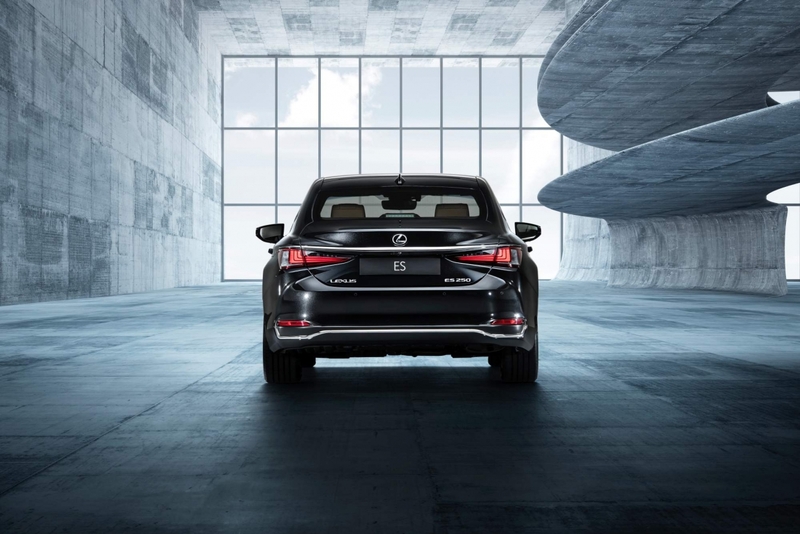 The new Lexus ES makes use of a new platform, and the vehicle does feel longer and wider. How does this affect the performance of the vehicle, and what does it do to the profile? The new TNGA (Toyota New Global Architecture) platform has made a real difference in the characteristics of the new ES. The new Global Architecture-K (GA-K) platform used on the new ES pushes the limits of design in the midsize luxury sedan class. This ES is longer (+ 66mm/2.6 in), lower (-6mm/.2 in) and wider (+46mm/1.8 in.) than before with wheels that have been pushed closer to the corners thanks to a two-inch longer wheelbase and wider tracks front (+10mm/.4 in) and rear (+38mm/1.5 in). It's stance and proportions reflect its newfound performance capabilities. In profile, the ES has a dynamic yet fluid shape that starts with the low hood line made possible by the GA-K platform. From there, the roofline remains low and sleek thanks to the relaxed A-pillar that flows smoothly to the sharply slanted C pillar. A long, uninterrupted shoulder line that extends from the top of the front wheel arch all the way to the corner of the trunk serves as a contrast to the smooth arc of the roofline and gives the ES a refined sense of sportiness. As Lexus is owned by automobile giant, Toyota, the new Avalon, Camry, and RAV4 all share the GA-K platform. The new platform gives the ES a real boost in performance but it also allowed designers and engineers to create a very dynamic looking vehicle for the seventh generation ES. Honestly, the design started before I joined this team, so I can’t talk at length about the inspiration. What I can tell you is that the ES has always been an elegant luxury sedan and for this new generation, we have added daring design elements that challenge buyers’ traditional expectations. Lexus designers wanted to make sure that when you look at the new ES you instinctively know it’s sporty. The new platform also allows for a lower hood line, which gives a distinctive silhouette with a strong downward slant, creating a dynamic yet fluid shape. In a break with past Lexus models, the design features a fast roofline that emphasizes the vehicle’s lower stance and aerodynamics. The rear end is clean and sharply chiseled, with LED lamps that wrap around the quarter panels to generate a continuous styling line when viewed from any angle. To some industry observers the ES is a designer’s dream car with its new bold sculpted looks. In fact, you might even say that we designed the car to look like it’s moving even when it’s parked. It has that kind of feel, presence and emotion. While many have lauded the new Lexus ES design there is one thing that is hard to miss. It seems that you either love or hate the new Lexus ES grille. There seems to be no middle ground. Depending on whom you ask the grille looks modern or retro, ugly or beautiful. It is big and has a lot of chrome. What’s with the controversial grille – was it designed for purely function or was it design for esthetics? You’re right, completely right. There is some controversy about the grille. But, from a design standpoint we were aiming for something aggressive looking. The grille has actually been angled down from previous models and the spindles have been moved from a horizontal position to a vertical one, which adds to the overall design. It was designed to appear assertive but doesn’t really add to performance. Yasuhiro Sakakibara sees the new ES together with its bold design and advancedik engineering as a real challenge to German luxury auto makers. Only time will tell if his prediction is right.